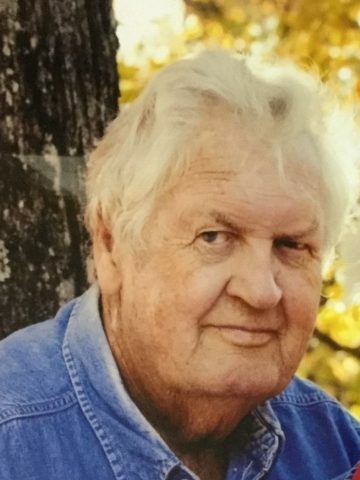 Thomas M. Roaden, of Madison, passed away October 6, 2018 at age 84. He was preceded in death by his wife, Peggy Roaden; his son Tommy Roaden, Jr., and his grandson Seth Roaden; his brother, Charles Roaden; sisters, Margaret Ann (Theodore) Jackson. He is survived by his son, Richie (Angela) Roaden; his grandchildren, Tori Roaden, Chris (Amber) Roaden, Michael (Heather) Roaden; great-grandchildren, Carly, Carson, Heaven, Trinity, and Destiny; sister-in-law, Dartha Roaden, and brother-in-law John W. Pitt. Tom worked for many years as an electrician. He and his wife Peggy loved travelling in their camper all across the United States. Visitation will be at Cole & Garrett Funeral Home, Goodlettsville Monday October 8 from 4-8 pm, and Tuesday October 9 from 12noon until service time at 2pm. Interment will follow at Forest Lawn Memorial Gardens. Mr. Roaden and I became friends at dialysis he was always very sweet to me. I will miss him and the talks we had.. My prayers are with you all.